Our youth-led Monthly Wednesday Night Worship returns at 6:00 pm. 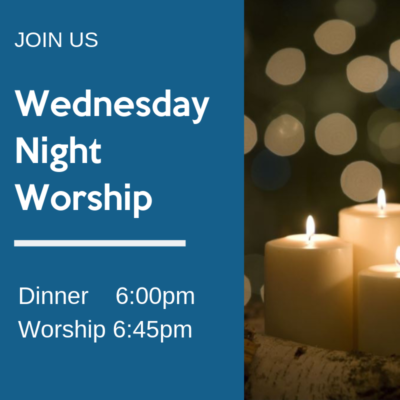 Join us for dinner at 6:00 pm, and Worship at 6:45 pm in the sanctuary for an inclusive, all-ages worship service created by our youth as an offering for the entire congregation. It’s a great opportunity to find some time for God in the middle of your week.